Women4Green Impact Series #3: Is the Jewellery Industry Sustainable? 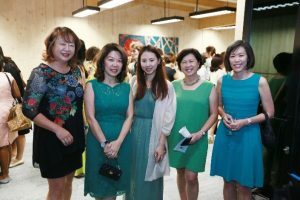 With the aim of providing a platform for female executives across various industries to drive change for climate action, sustainable lifestyles and women empowerment, CDL launched the Women4Green initiative in June 2017. Tanja Sadow, Dean of Jewellery Design and Management International School discussed the environmental impact of different types of raw materials (such as ivory, corals, gold) used in the jewellery business, and how consumers can influence social change and responsible business practices through the choices they make. 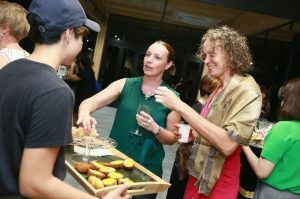 Besides benefitting from the thought-provoking talk, attendees also learnt about Fugeelah School, a refuge for women and young children funded by the United Nations High Commissioner for Refugees. Through Fugeelah, this marginalised community learns craftsmanship, design and creation of accessories from artisans in Malaysia. At this Women4Green event held at the SSA, these handmade collections were showcased by JustGaya’s, an eco-conscious enterprise that gives back to society. 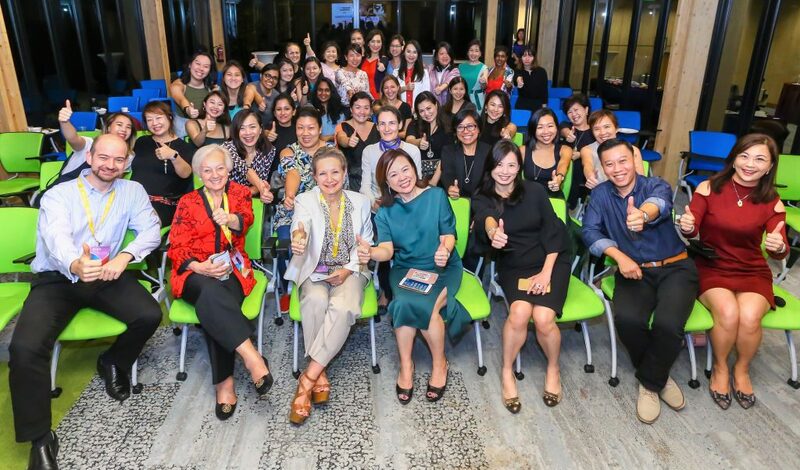 CDL’s Women4Green Impact Series #2 delved into the topic of sustainable tourism, a key issue in a globally growing industry. 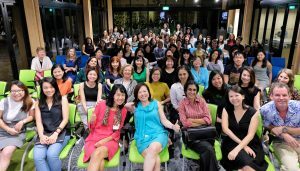 The event was attended by over 80 female and male professionals. The three speakers explored a spectrum of sustainability issues that the industry is facing today and our role as tourists in tackling them. The first, Dr Sin Harng Luh from NUS introduced the topic of sustainable and responsible tourism through examining tourism statistics and discussing commonly seen aspects sustainable tourism, such as environmental management, protection of wildlife, pro-poor tourism, and accessible tourism. She then challenged the crowd with the question “Is it really that easy to be responsible in tourism?” Ultimately, her presentation renewed guests’ perspectives on their impact on areas driven by tourism. The second speaker took the audience on a journey to Kerala, India to explore what life is like in a rural village. Her session focused on experiential travel that has minimum impact on the environment. 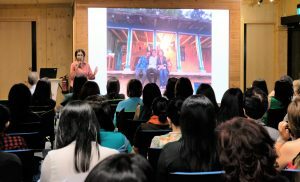 Amala Menon, founder of SaveAGram provided an avenue to travelers who want a more immersive travel experience as they get the opportunity to live with the villagers in their original homes and experience a slower pace of life compared to urban environments. 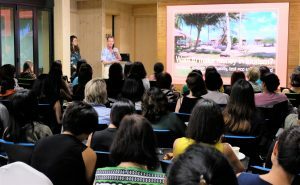 Finally, Dr Marc Van Loo from LooLa Adventure Resort on Bintan Island, introduced the crowd to his resort and explained how ecotourism has improved the lives of the locals on the island through the resort’s presence and engaging activities. Guests were treated to a delectable menu from sustainable sources throughout the evening. Saladstop, a salad bar chain in Singapore served food representing different regions such as Japan and Singapore. Drinks of the night were supplied by Native Bar, a local, sustainable outfit that forages for natural ingredients across the Southeast Asian region and beyond to create bespoke cocktails. For more information on the vendors and their sustainable practices, please refer to their respective sites below. 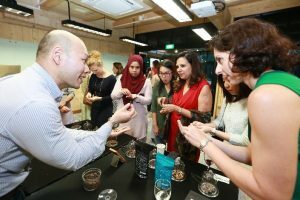 CDL held its inaugural Women4Green Impact Series at the Academy, with a focus on Sustainable Fashion. Over 100 ladies attended the event that highlighted the negative environmental impacts of fashion, the second most polluting industry after oil & gas. The forum featured speakers from CSR Asia and H&M. 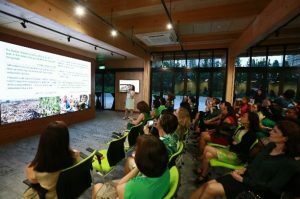 In a welcome address, Esther An, Chief Sustainability Officer of City Developments Limited, articulated the reasons behind founding Women4Green, with its vision and mission of empowering women in the male-dominant green industry. 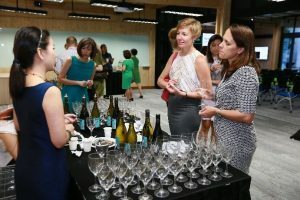 The first speaker, Mabel Wong, Executive Director of CSR Asia and Women4Green Ambassador in Australia and New Zealand, shared the current outlook on sustainability for the Australian fashion industry using findings from the 2017 Baptist World Aid Ethical Fashion Report. 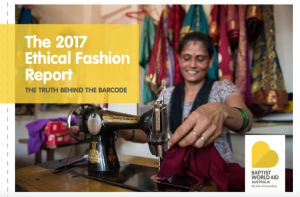 This report scored 106 companies in Australia, including familiar brands like H&M, Uniglo and Zara, on their supply chain disclosures and engagement, as well as existence of responsible sourcing policies. 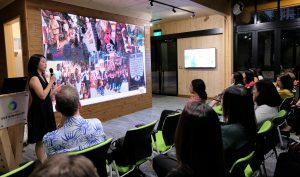 This was followed by the main presentation featuring Wong Xin-Yi, Sustainability Manager of H&M Southeast Asia, on the Swedish brand’s efforts to counter fashion’s negative impact for a more sustainable future. Guests had a delightful evening making new friends and exchanging thoughts over wine, cheese, chocolates and a light dinner. Complementing our aim to promote a more sustainable lifestyle, all the refreshments served at the event were sourced responsibly – organic and biodynamic wines from Wine Clique; artisanal cheese produced using traditional methods from The Cheese Artisans and sustainably-farmed chocolates by Krakakoa from Beans to Bars. Participants also enjoyed an egg-centric dinner from Crack, which sources all their eggs from local farms. For more information on our vendors and their sustainable practices, please refer to their respective sites below.